Twelve Stetson Law students will be selected to participate in the Spring Break study abroad program in Cuba. The class will be held in the Spring semester once per week, culminating in the five-day, four-night trip to Havana, Cuba from March 11-15, 2019. One additional class meeting will be held after returning from Cuba, and a 10-15-page reflection paper will be required to earn credit for this course. The Spring Break in Cuba study abroad program is only available to 2L and 3L Stetson students. This trip does not allow for family members to accompany students. Studying the human rights violations that are alleged to occur in Cuba. Studying the possibility for future economic development in Cuba. 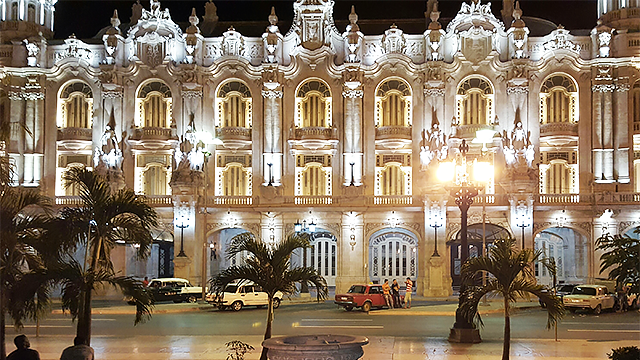 A participant's application fee ($50) in the Spring Break in Cuba study abroad program requires an accompanying deposit of $300; the deposit ($300) is applied to a participant's final invoice. Once an applicant has been accepted, the deposit is nonrefundable. Tuition for this program is in addition to the normal full-time Spring tuition rate. Please see the Student Budget for more information. Students are obligated to pay tuition and housing as of November 30, 2018. Any attempt to withdraw from the program after that date will not discharge the student's obligation for payment of the tuition and housing.